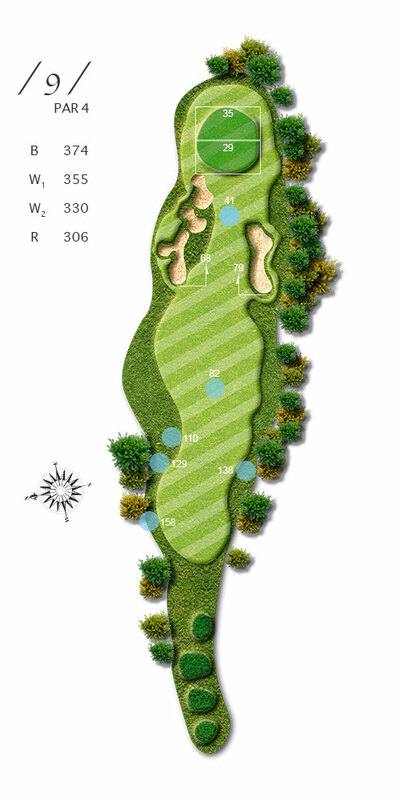 A wide open short par 4, with 18th hole to its left, making the fairway double wider`, it is a all you can hit hole. With a 280 yards carry drive, you can make it to a plateau, leaving you a 100- yard second shot. Add 6 yards for the second shot, never over the pin for the green tilting from back to front.